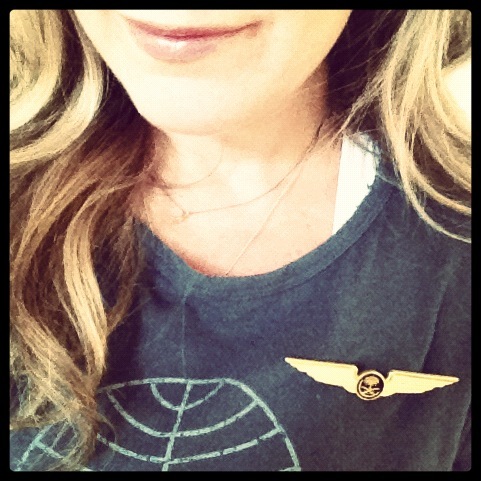 Next post: Virgin Australia flight attendant shows off her Cruising Attitude! I’m always asked, “which airline do you work for?” whenever I’m being interviewed. As if the answer is going to give people a better understanding of why I wrote the book, Cruising Attitude, or why I feel the way I do about flying or travel in general. I’ll admit that there have been times, not many, when I’ve wondered just how true that statement really is, like when I’m checking into a layover hotel and spot a foreign crew doing the exact same thing. Because certainly the job has to be different overseas! And by different, I mean better, of course. What’s strange is whenever self doubt begins to creep in, something will happen to confirm what I believed all along. Take for instance the time a newspaper out of Australia reviewed my book. I was shocked to see so many Australians felt the exact same way about Qantas crews as Americans feel about U.S. crews. 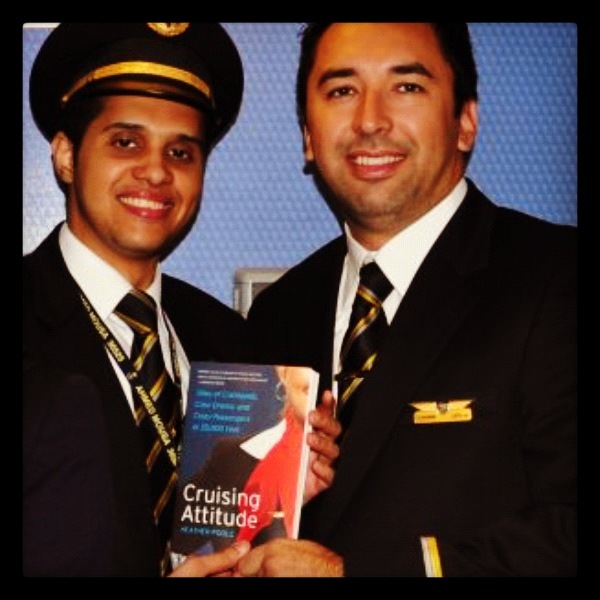 One of the most exciting things about having published a book about flight attendants is getting feedback from other flight crews, and not just flight attendants from other airlines, but from crew who live in foreign countries and work for international carriers! Sometimes it comes in the form of a really nice letter. They’re always my favorite. Other times it comes in gold and arrives wrapped in bubble wrap inside a Fed Ex envelope. Imagine how excited I was to receive a pair of Saudi Airline flight crew wings yesterday! A sign to me that flight attendants worldwide really do have parallel lives, regardless of the company name written on the side of the plane. I’m thinking that if you have to ask, you probably don’t need to know. In actual response though, it may not matter which airline you work for but it sure matters what airline one flys! Even though I do not fly the airline you work for, I do enjoy following you on Twitter. It is a crazy life of a worldwide travel! nice view point,its not a job,its a life style….! started following u recently on Twitter & on blog…..! cheers. Funny. Aviation is not a job, it’s a lifestyle is my Facebook tagline. But I want to know if there’s a chance you’ll ever work on my flight. I’m a United 1K and loved your book! It’s a curiosity for sure but I guess there are interesting similarities across airlines and crews worldwide. Thanks for the enlightenment. Congratulations on the book’s success! I still have yet to read it. I’d be lying if I said I didn’t look to see if you were my flight attendant while up in the air. I’m curious if you get a lot of recognition on your flights.